ISO 13485 is a standard that represents the requirements of a comprehensive quality management system for the design and development, production, storage, distribution, installation and servicing of medical devices. 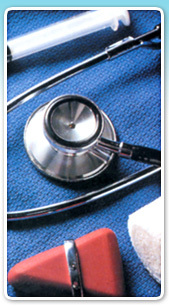 It specifies requirements for organizations involved in one or more stages of the medical device life cycle. ISO 13485 can also be used by importers or the appointed agency who import and distribute medical devices who maybe mandatory to set up medical devices quality management system as to comply with their local regulation. Those companies who are certified to ISO 13485 are explicitly expect to comply with all the applicable regulatory requirements and established a risk based approach risk managements quality management system for its processes including the outsourced activities. ISO 13485 focuses on how companies should manage risk-based decisions related to purchasing, design, development, manufacturing, storage, distribution of medical devices activities and other aspects of the quality management system. Both ISO 9001:2015 and ISO 13485:2016 specified quality management systems (QMS) requirements by which an organization must demonstrate that it can consistently provide products and services that meet customer and statutory/regulatory requirements. ISO 9001, however, adds enhancing customer satisfaction and continual improvement as goals while ISO 13485 moved way beyond ISO 9001. For the 2016 version, one objective developed was to ensure ISO 13485 would better support the global alignment of regulatory requirements for medical devices. To establish Quality Management System (QMS) that is oriented towards the design, development, production, and installation of medical devices and related services. To demonstrate your ability to manufacture, supply medical devices and related services that meet customer expectations and comply with regulatory requirements. To evaluate how well your organization is able to meet ISO 13485, customer expectations and comply with regulatory requirements. To achieve ISO 13485 world class certification for compliance.